This is not a Jelly Fish. 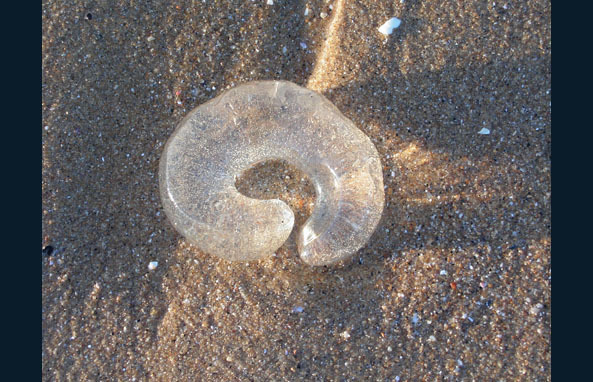 It is the sac produced by the sea snail to contain its eggs which are the small specs visible in the translucent material. Photo by WPSP.